DAVID LE/Staff photo. 5/20/15. 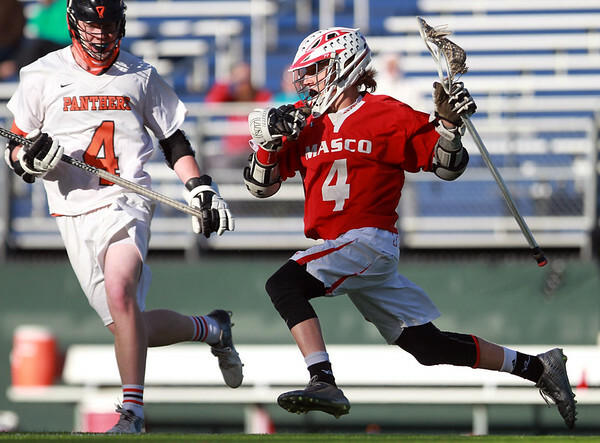 Masco senior attack Cam Jung (4) battles the shadows as he sprints towards the Beverly net while being watched closely by Panthers junior defense Ryan Garrity (4).